We have perfected the technique for giving best results for Men and Women of all ages who suffer from hair loss. 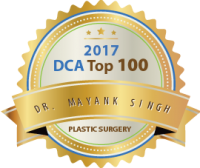 With the experience of performing over 1500 hair transplant procedures Dr Mayank Singh is now a leader in this field using the very latest surgical innovations to give his patients the best results. If you are suffering from hair loss and are trying to find a clinic to have your hair transplant done then Radiance has the answers for you. 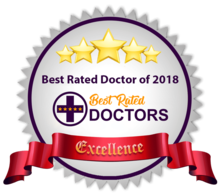 This center of excellence in hair transplant has had long and successful results in meeting the expectation of its patients. Using State of the Art technique in hair transplant surgery Dr. Mayank Singh has now become a leading authority in the very competitive field of Trichology. All patients before they are selected as a candidate for hair transplant goes through thorough and meticulous check up and full discloser is given to them to make them understand and create an environment of reasonable expectation. This is done to ensure the patient know what they are getting into. If a person has been a lifelong smoker and consumes alcohol on a regular basis the clinic would advise them to stop for a while and only start smoking and drinking after a period of recovery in order to get the best results from the hair follicles implanted.